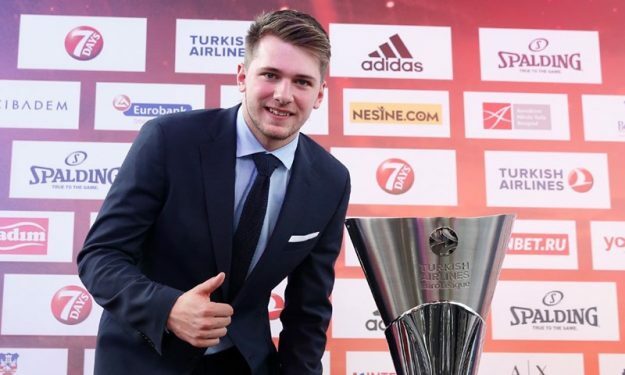 Is there a possibility that Luka Doncic won’t go to the NBA next season? BELGRADΕ – While Luka Doncic is considered one of the two (along with DeAndre Ayton) potential No. 1 picks in the 2018 Draft, he has hinted many times that it’s not certain that he’ll definitely move to the NBA next season. And the Real Madrid player echoed these thoughts during the EuroLeague Final Four official press conference. “Ι’m not sure if these are the last two games [in EuroLeague]. We have yet to make this decision. Perhaps after the season,” Doncic said when asked if the Final Four matches are the last two he’ll play in EuroLeague. One thing is for certain though. That the 19-year-old wunderkind of Real Madrid is focused on helping his team winning the EuroLeague title. This time also carrying the know-how of playing in the Final Four on his back. Last year, in his maiden Final Four tournament, Doncic struggled in the semifinal loss to Fenerbahce, finishing the game with scoreless (0/6 shots), three rebounds plus three assists in 17:19 minutes. As he admitted, that was a precious learning experience. “I learned a lesson in the previous Final Four. But last summer, I think I improved. We all learned a lesson,” Doncic said. Doncic has mentioned many times how important it is for him to have fun while on the court. And he wants to feel that way in the Final Four.